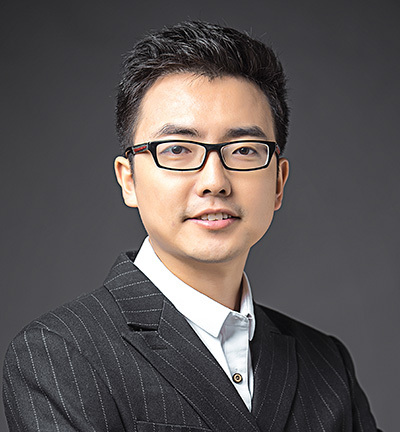 Kai Xu (徐凯) is an Associate Professor at School of Computer Science, National University of Defense Technology (NUDT). He earned his Ph.D in computer science in 2011 from NUDT. From 2008 to 2010, He worked as a visiting PhD in the GrUVi lab of Simon Fraser University, supervised by Richard (Hao) Zhang. During 2012-2014, he conducted postdoctoral research at the VCC@SIAT, working with Baoquan Chen. During 2017-2018, he was a Visiting Research Scientist in the Vision and Robotics Group at Princeton University, working with Thomas Funkhouser and Szymon Rusinkiewicz. Here is Kai's CV. Kai is leading the iGraphics Lab @ NUDT, which conducts research in the areas of computer graphics and computer vision. The current directions of interest include data-driven shape analysis and modeling, 3D vision and robot perception & navigation, etc. For more details, please refer to our publications. [New] Mar. 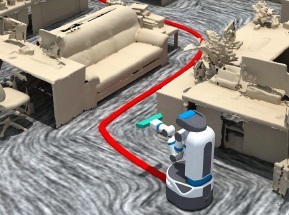 24, 2019: Our multi-robot scene reconstruction paper is conditionally accepted to SIGGRAPH 2019. Please check out details here. [New] Mar. 2, 2019: Three papers are accepted to CVPR 2019, including one oral (Shape2Motion) and two posters (HierContext and PartNet). 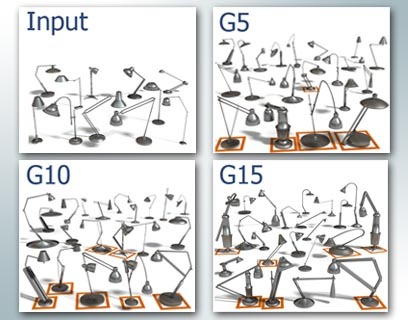 [New] Oct. 17, 2018: Our two SIGGRAPH Asia 2018 papers, deep recursive 3D shape composition and fine-grainded component labeling for 3D shapes, have released the full source codes along with datasets. [New] Jun. 10, 2018: Our PlaneMatch paper is accepted as an oral paper to ECCV 2018. 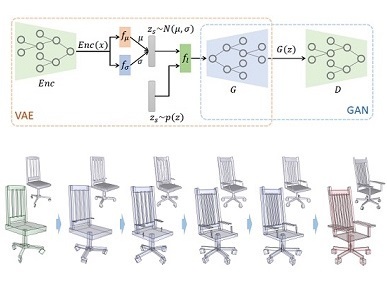 The paper is about 3D reconstruction of RGB-D sequences through learning a deep model for co-planarity-based matching. The source code is available here. [New] Jun. 10, 2018: Our GRASS paper is selected as a poster at the Bridges to 3D Workshop at CVPR 2018. See the poster. [New] Mar. 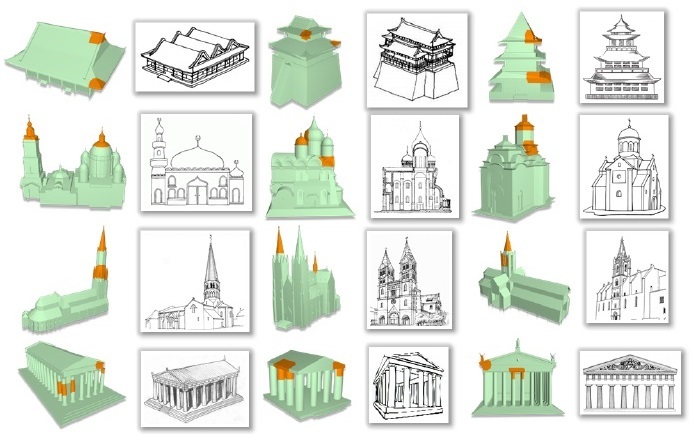 27, 2018: Our TOG paper, "Semi-Supervised Co-Analysis of 3D Shape Styles from Projected Lines", is awarded the Graphics Replicability Stamp! 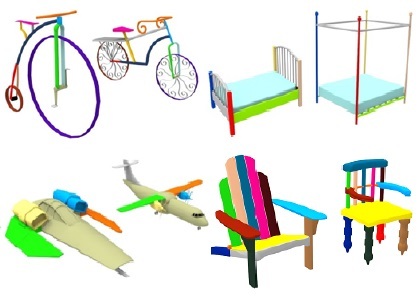 We have built a website of online 3D shape style analysis. 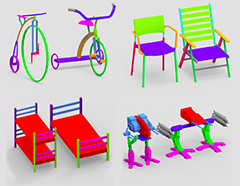 You are welcomed to test our method by uploading your own 3D models. Mar. 26, 2018: Three papers are to be presented at SIGGRAPH 2018. Other newly accepted papers include one CVPR 2018 paper, one ICRA 2018 paper and one AAAI 2018 paper. Please check out details here. Aug. 3, 2017: Our paper "Autonomous Reconstruction of Unknown Indoor Scenes Guided by Time-varying Tensor Fields" is accepted to SIGGRAPH Asia 2017. Please see more details here. The source code of this work has been released as a package on ROS. Apr. 1, 2017: Our GRASS (Generative Recursive Autoencoders for Shape Structures) paper has been selected as one of six SIGGRAPH 2017 papers featured for press release including EurekAlert, TechXplore and XinhuaNet, etc. Jun. 20, 2017: The source code of our SIGGRAPH 2017 paper "GRASS: Generative Recursive Autoencoders for Shape Structures" is now available via github. UPDATE: A PyTorch implementation (currently with only the VAE part) is available (thanks to Chenyang Zhu's original implementation). Apr. 23, 2017: Two papers are accepted to SIGGRAPH 2017. One is about learning generative models of 3D shape structures and the other is about structure-aware shape correspondence. Check out details here. Oct. 20, 2016: The source code of 3D Recurrent Attention Model for Object Identification proposed in our SIGGRAPH Asia 2016 paper is made available via github. Please also check out a follow-up work on this topic here. Aug. 18, 2016: Our course, "Data-Driven Shape Analysis and Processing", is accepted to SIGGRAPH Asia 2016. This course will be given together with Vladimir Kim, Qixing Huang, Evangelos Kalogerakis and Niloy Mitra. Aug. 10, 2016: Our paper, "3D Attention-Driven Depth Acquisition for Object Identification", is conditionally accepted to SIGGRAPH Asia 2016, to be held in Macao this December. Check more details here. Jun. 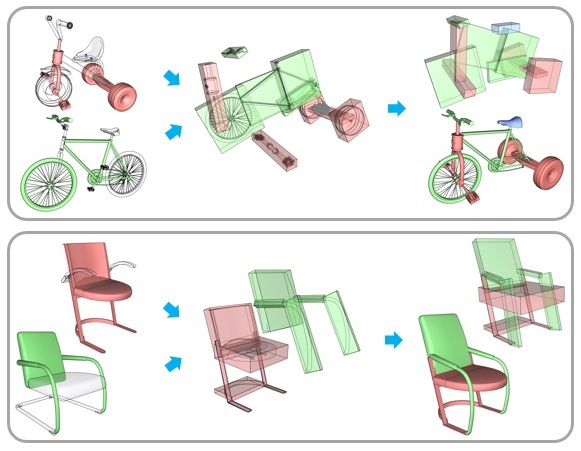 16, 2016: Two papers,"Mobility Fitting using 4D RANSAC" and "CustomCut: On-demand Extraction of Customized 3D Parts with 2D Sketches", are accepted by SGP 2016. See details here. Oct. 30, 2015: Our survey paper, "Data-Driven Shape Analysis and Processing", has been accepted by Computer Graphics Forum. See more details here. 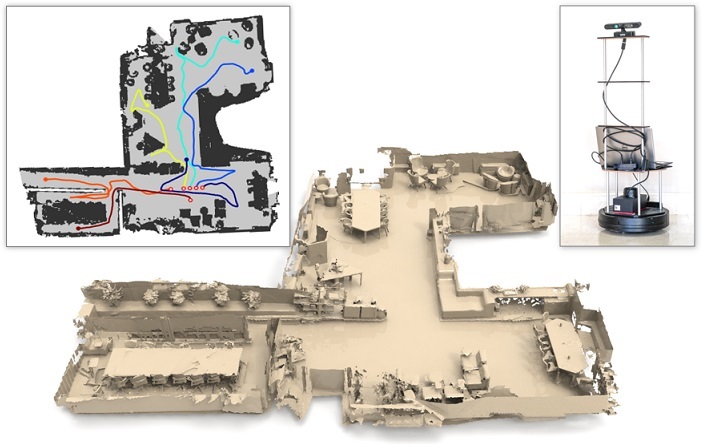 Oct. 30, 2015: The source code of object analysis (object-level segmentation and entropy-based NBP selection) of our robot-operated scene scanning paper is available for downloading. Aug. 12, 2015: Two papers, "Autoscanning for Coupled Scene Reconstruction and Proactive Object Analysis" and "Deformation-Driven Topology-Varying 3D Shape Correspondence", are conditionally accepted to SIGGRAPH Asia 2015. Please see more details here. Aug. 9, 2015: Our paper on Projective Feature Learning for 3D Shapes is accepted to Pacific Graphics 2015. Source code is available for downloading. 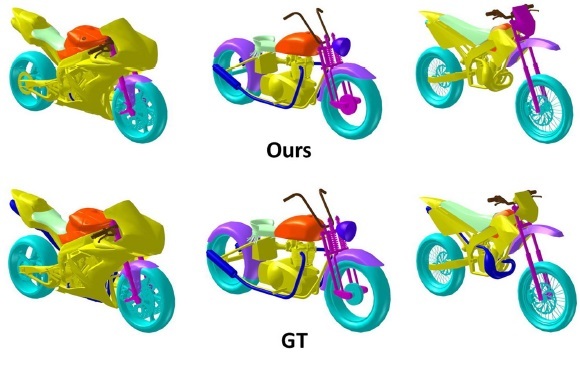 Aug. 7, 2015: The source code of mesh segmetation based on Extreme Learning Machine of our SGP 2014 paper is now available. The training time of our method is 100x faster than the state-of-the-art methods. Feb. 25, 2015: Our survey paper "Data-Driven Shape Analysis and Processing" is now online via arXiv.org: arXiv:1502.06686. The wikipage is available online. Jan. 5, 2015: One paper on Skeleton-Intrinsic Symmetrization is conditionally accepted to Eurographics 2015. May. 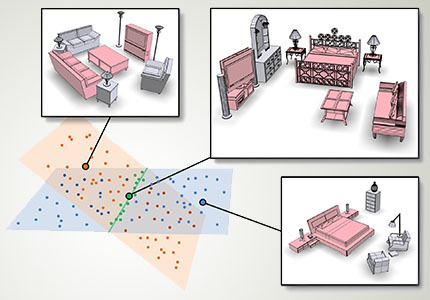 17, 2014: The source code of focal analysis of our SIGGRAPH 2014 paper is available. Mar. 28, 2014: Two papers, "Organizing Heterogeneous Scene Collections through Contextual Focal Points" and "Topology-Varying 3D Shape Creation via Structural Blending", are conditionally accepted to SIGGRAPH 2014. See more details here. Jun. 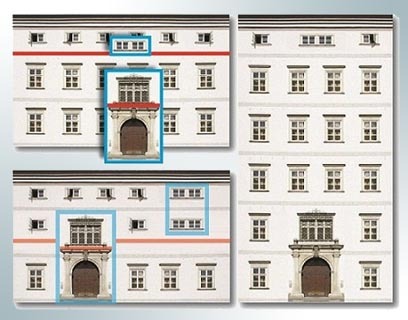 27, 2013: The source code and data of our facade structure analysis paper is now available. Jun. 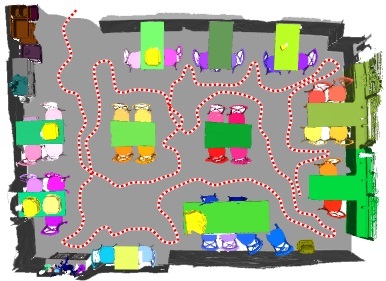 14, 2013: Our paper on outdoor scene consolidation is accepted to SGP 2013. 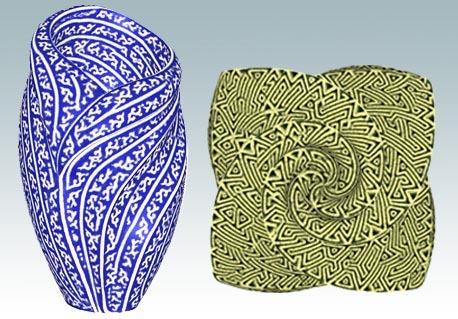 Another paper on sketch-based 3D object design is accepted to CGF (with minor revision). Apr. 22, 2013: The project pages of our SIGGRAPH 2013 papers are available; see symmetry maximization and conshier. Apr. 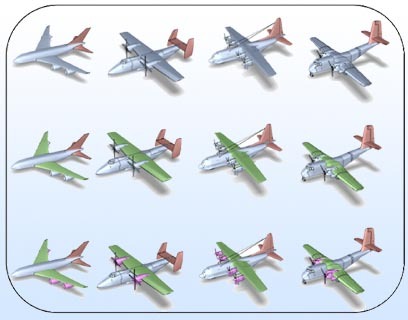 6, 2013: Two papers are conditionally accepted to SIGGRAPH 2013: 1) Layered Analysis of Irregular Facades via Symmetry Maximization; 2) Co-Hierarchical Analysis of Shape Structures. Please see more details here. Sep. 9, 2012: The datasets in our set evolution paper are available for downloading. Aug. 23, 2012: Our paper "Multi-Scale Partial Intrinsic Symmetry Detection" is conditionally accepted to SIGGRAPH Asia 2012. Jun. 8, 2012: Project page of our SIGGRAPH 2012 paper is on. Apr. 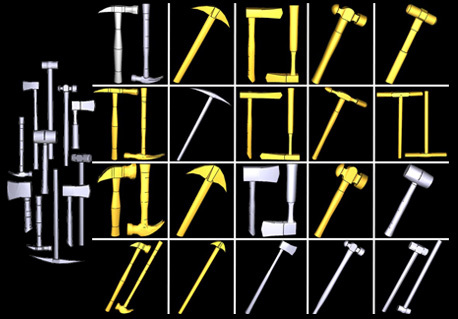 3, 2012: Our paper "Fit and Diverse: Set Evolution for Inspiring 3D Shape Galleries" is conditionally accepted to SIGGRAPH 2012. Apr. 30, 2011: Project page of our SIGGRAPH 2011 paper is now on. Mar. 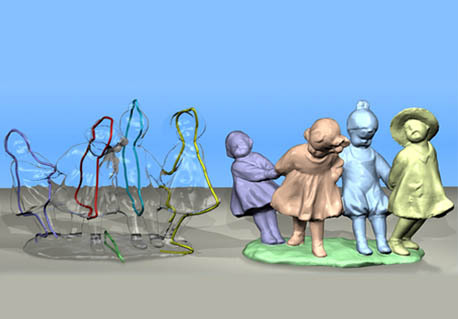 31, 2011: Our paper "Photo-Inspired Model- Driven 3D Object Modeling" is conditionally accepted to SIGGRAPH 2011. Jan. 31, 2011: The project page of symmetry hierarchy is now available from Eric's website. 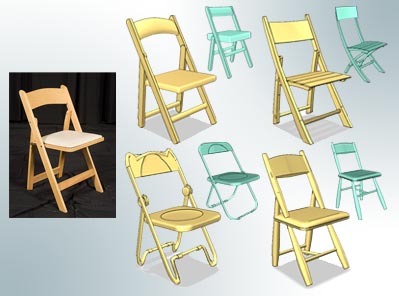 Dec. 1, 2010: Our paper "Symmetry Hierarchy of Man-Made Objects" is conditionally accepted to Eurographics 2011. Aug. 28, 2010: Project page for "Style-Content Separation by Anisotropic Part Scales" is on. 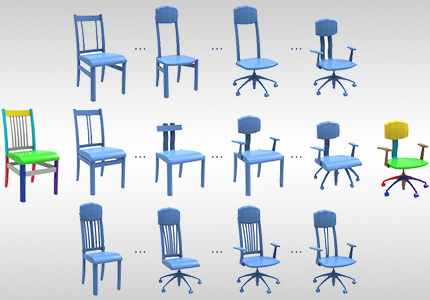 Aug. 6, 2010: Our paper on Style-Content Separation is conditionally accepted to SIGGRAPH Asia 2010. Oct. 23, 2009: The source code of curve orientation in our feature-aligned texturing paper is now available. [New] I am serving on the Program Committee of SIGGRAPH 2019, SGP 2019, PG 2019, SMI 2019, CGI 2019, CVM 2019, and EG 3DOR 2019. [New] I will be serving on the Program Committee of SIGGRAPH Asia 2018. I am also serving on the PC of PG 2018, SMI 2018, CGI 2018, CVM 2018, EG 3DOR 2018, ISVC 2018 and Chinagraph 2018, and as the Area Co-Chair of ISVC 2018. [New] July. 1, 2017: I am visiting Princeton Univsersity, working with Prof. Thomas Funkhouser and Prof. Szymon Rusinkiewicz. I will be serving on the Program Committee of SIGGRAPH Asia 2017. I am nominated to serve as a co-chair of the Program Committee of CAD/Graphics 2017 and ICVRV 2017. I also serve on the PC of SGP 2017, PG 2017, CVM 2017 and EG 3DOR 2017. Dec. 8, 2016: Our course on Data-Driven Shape Analysis and Processing has been given at SIGGRAPH Asia 2016. Slides will soon be available from our course wikipage. I am honored to receive the Young Researcher Award of CSIAM Geometric Design and Computing at GDC 2016. I am now serving on the editorial board of Computer Graphics Forum. I am serving as the co-chair of the program committee of CSIAM Geometric Design and Computing of China (GDC) 2016, a geometry conference organized by CSIAM Technical Committee on GDC, to be held in Hefei, China. See the CFP. I am now serving on the editorial board of The Visual Computer, an Springer jounal. 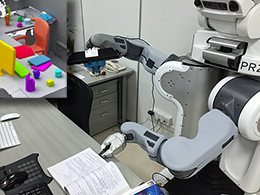 Nov. 2-5, 2015: Attend SIGGRAPH Asia 2015 in Kobe, Japan and present our paper on robot scene scanning with object analysis. Oct. 7-9, 2015: Attend Pacific Graphics 2015 held by Tsinghua University in Beijing and present our paper on "Projective Feature Learning for 3D Shapes". Aug. 27, 2015: Attend CAD/Graphics 2015 held in Xi'an and organize the panel discussion on "High-level Shape Understanding" with Jin Huang and Dong-Ming Yan. Jul. 14-29, 2015: Attend the summer schools of Zhejiang University, Shandong University and University of Science and Technology of China, and give talks on "robot-operated scene reconstruction and analysis" and "data-driven shape processing". Dec. 4, 2014: Our course on Data-Driven Visual Computing has been successfully held at SIGGRAPH Asia 2014. Slides are available from our course website. Dec. 3-6, 2014: Attend SIGGRAPH Asia 2014 in Shenzhen. I am organizing an invited course at SIGGRAPH Asia 2014, to be held in Shenzhen, Dec. 3-6, 2014. Welcome to our course! Please find detailed information here. I am serving on the Program Committee of SGP 2015. I am now serving on the editorial board of Computers and Graphics, an Elsevier jounal. Aug. 10-14, 2014: Attend SIGGRAPH 2014 in Vancouver, Canada. Apr. 7-11, 2014: Attend Eurographics 2014 in Strasbourg, France. A one-day workshop on "Creative Shape Modeling and Design" will be held in conjunction with SIGGRAPH Asia 2014, Shenzhen. I will be serving on the PC. Welcome to submit your work! I am serving on the International Program Committee of Eurographics 2014 (Short Papers), SGP 2014, Pacific Graphics 2014, GMP 2014, and Chinagraph 2014. Jul. 21-25, 2013: Attend SIGGRAPH 2013 in Anaheim, CA, USA. I am serving as International Program Committee (IPC) member for SIGGRAPH Asia 2013 (Technical Briefs & Posters), SGP 2013, PG 2013, and CAD/Graphics 2013. Nov. 27 - Dec. 2, 2012: Attend SIGGRAPH Asia 2012 at Singapore. Sep. 11, 2012: Attend Workshop on City Modeling and Visualization held by VCC.SIAT in Shenzhen, and give a talk on multiscale partial intrinsic symmetry detection. Aug. 5-9, 2012: Attend SIGGRAPH 2012 in Los Angeles. Jul. 3-4, 2012: I am giving two courses at the USTC Summer School 2012 on "Advances in Computer Graphics". One is on symmetry analysis and the other is about data-driven shape synthesis. See more details in my research page. Jun. 11, 2011: Visit Prof. Ligang Liu's group at Zhejiang University and give a talk on Semantics Driven 3D Object Modeling. 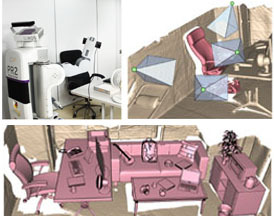 May 21, 2011: Visit the Visual Computing Center at SIAT and give a talk on Semantics Driven Shape Analysis and Modeling. Dec. 15, 2010: Attend SIGGRAPH Aisa 2010 at Seoul, Korea. Oct. 12, 2010: I've finished my two-year-stay at GrUVi lab, SFU and returned to China to complete my PhD study. Thank you, GrUVi! Mar. 8, 2010: Return to Vancouver, Canada to continue my visiting research. Mar. 1, 2010: Visit Prof. Baoquan Chen's group, 3D Digital City Research Center, at Shenzhen Institute of Advanced Tech (SIAT), China and give a talk on PIRS. Dec. 15, 2009: Attend SIGGRAPH Asia 2009 at Yokohama, Japan.